At CareSource, we streamlined our business practices to limit the administrative burden on you and our members. Our goal is to make it easier for you to help our members access the care they need. We strive to make it easy for our members to access the behavioral health services they need. CareSource understands that coordinated care is key to ensuring optimal outcomes for our members. We ensure that all of our providers have access to behavioral health resources and that behavioral health is integrated across all interventions. And in the battle against opioid abuse, we are taking action. Visit the Opioid Tool Kit for resources to support your practice and encourage best practices in opioid use and pain management. As a CareSource provider, you can easily access members’ benefits to best serve their needs. CareSource continually assesses the quality of care and service offered to its members and implements programs to improve operational efficiency, delivery of health care services and health outcomes. 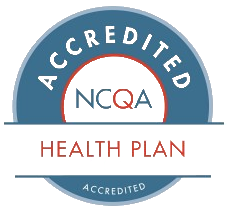 We have established a Quality Improvement program to continually help us raise the bar on member care.